An exclusive, legendary club – 31 floors above the ground – evolves with changing tastes but retains decades-long traditions.  Everyone talks about the view, and there it is, the million lights of Tulsa spread beneath you like a softly twinkling carpet of stars. You stroll toward the floor-to-ceiling windows, past a fireplace where a welcoming blaze burns, and lots of cozy armchairs where groups of old friends sit and chat. Everyone is dapper and elegant (there is a dress code; standards must be maintained), and all exude the quiet confidence that membership in the legendary, exclusive Summit Club can provide. The bartender has already (and without being asked) begun to prepare your favorite drink and, in the dining room, the waiters, who know you and every other member well (most have worked here for over a decade, and several for over 40 years), think which of the daily specials will appeal to you, and which wine you would prefer. Sometimes the club, in the top floors of the Bank of America Center, seems to you like a vast ship, gliding above the city and through the years effortlessly and without change. Nothing can be further from the truth. 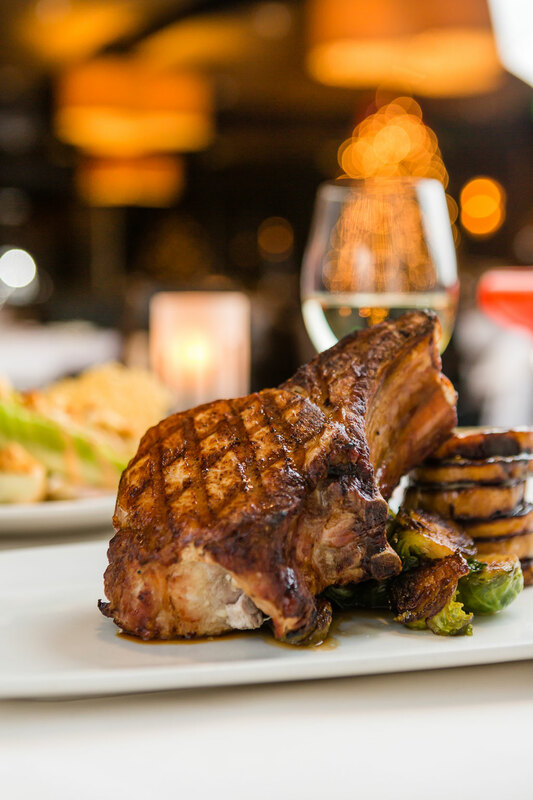 For your main course, try the double-cut Berkshire pork chop, sweet potatoes, cider-mustard emulsion and caramelized Brussels sprouts. Here comes Jared Jordan, general manager, rushing to greet you as the onyx links of his well-starched French cuffs peek out beneath his tailored suit. You’ve probably known him a long time; he’s been a member for 10 years. He makes you feel welcome, but he’s a bit tired. He’s worked since 5 a.m. and part of his mind is planning his next stop (he has to greet a vast private party assembling in one of the banquet rooms a floor below). He’s also just noticed a bit of worn flooring and is already planning to replace it. The club appears unchanged and spotless, but every bit of it is renovated once or twice a decade. Talk to Jordan about the club and the word you’ll hear most often is passionate. He seems to thrive on the long hours; the challenges the club faces (how to respect tradition yet institute changes to appeal to a younger generation) thrill him. “Jared works longer hours than anyone else on staff,” says William Lyle, the executive chef who puts in quite long hours himself and, like Jared, projects an air of youth, eagerness and quiet competence. Lyle has never been afraid to take on a challenge. 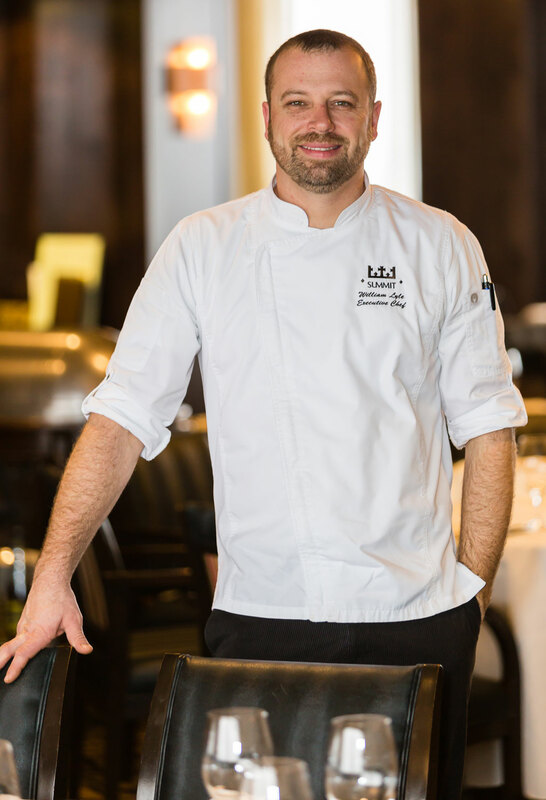 He worked 12 years in the restaurant industry, put himself through business school, and ended up in Arkansas as a chef at Ella’s, a fine dining destination on the University of Arkansas campus. While there, he was offered the job of executive chef at the Crystal Bridges Museum of American Art in Bentonville. That was a challenge – to cook quality food in a very high volume setting, but he took the job and triumphed. 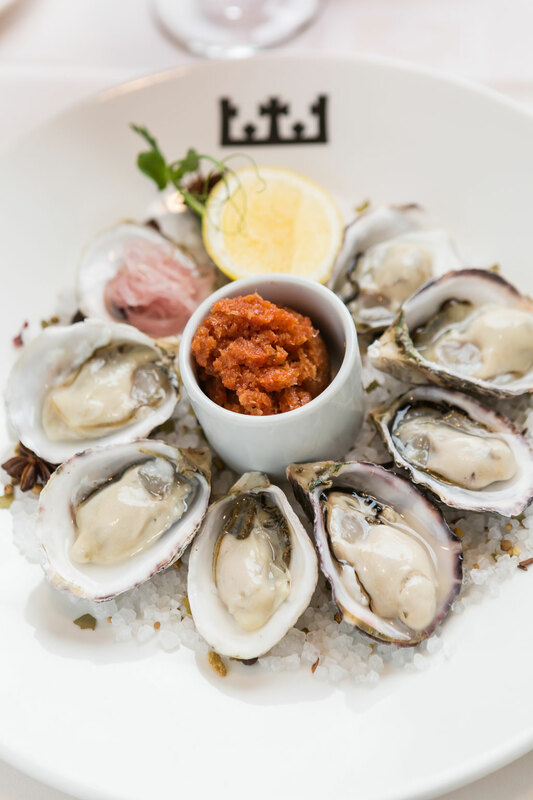 For decades, the Summit Club has achieved a quiet fame for its classic French cuisine, for dishes so rich and luxurious that, tasting them, you feel both cosseted and decadent at once. Lyle has changed a lot of the dishes – he’s trying to buy as much as possible from small, local farms – but most of the new items are wholly in keeping with club tradition. Your eyes will grow wide when you see the new filet. Lyle (or one of the 25 other cooks on staff) simmers lobster shells in butter for four hours, then uses that rich meaty butter to make a classic Hollandaise sauce that he pours on top of a big USDA prime filet. 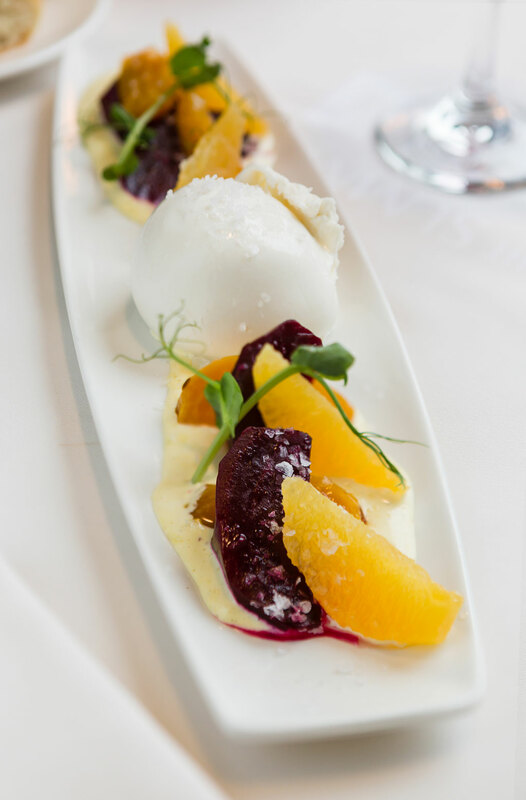 Refresh your palate with this creamy burrata cheese, roasted beets, grapefruit and preserved lemon aioli. On top of that sits an enormous pan-seared diver scallop. It is heavenly. It is perfect. You can’t stop eating. You’ve already had the pate, made from chicken livers from the local 413 Farms. It was richer than rich, but you ate it all. 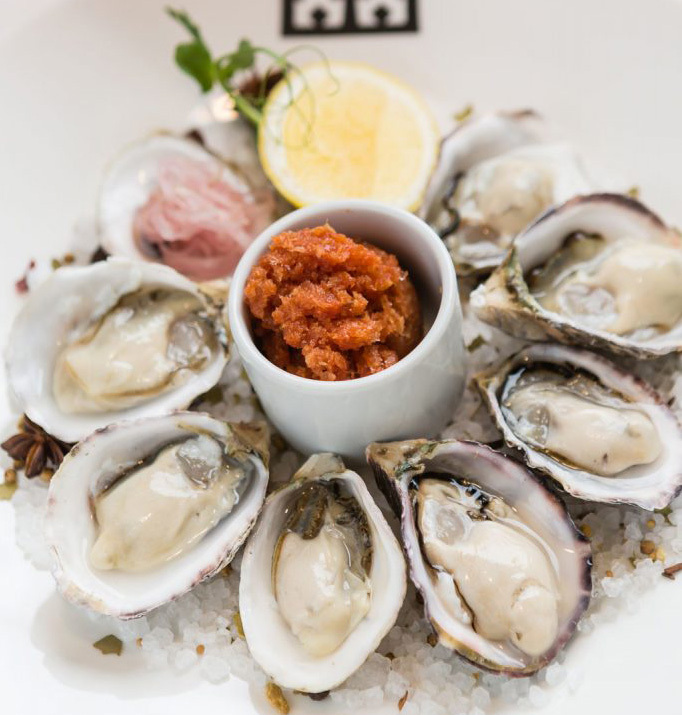 Next are oysters, as fresh as can be, and burrata with roasted beets and lemon aioli. And then there is that lasagna. You take some because it’s vegetarian. Low-carb, you think, but it has a layer of rich classic bechamel sauce, and shiitake mushrooms (Gouda cheese, too), and it melts in your mouth. And now here comes a cart laden with pies and cakes, and also a wheeled tableside stove where a man in a business suit stirs the butter, sugar and liquor for your bananas Foster. He looks like a banker from one of the floors below. Munaretto touches a light to the heated syrup and flames shoot up. “But I have to cut down on my sugar,” you claim.